If I had to choose a favorite dessert, out of all the desserts in the world, it would be cake. I’m a cake fiend. Cupcakes, birthday cake, wedding cake, sheet cake, single slices of cake at the grocery store. Just gimme all the cake. When a cake is good, it is so good but when it’s bad, it’s really bad. 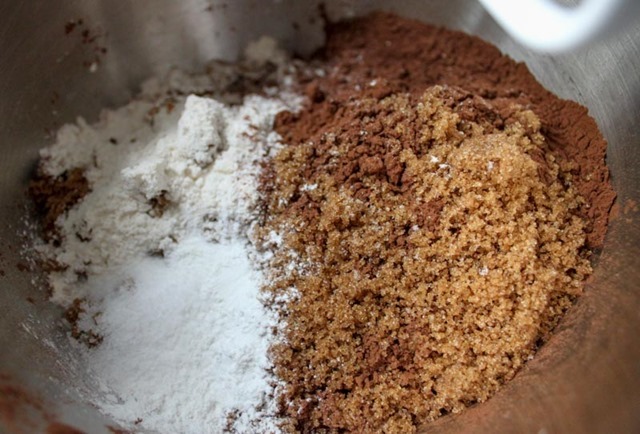 Making good cake at home shouldn’t be hard but for some reason I’ve always left it up to the professionals at my favorite bakery rather than make it myself (Lyndell’s in Ball Square, what’s up!). Until I found this recipe. This one is the be all end all. Take it from this cake devotee, you should definitely try this at home! 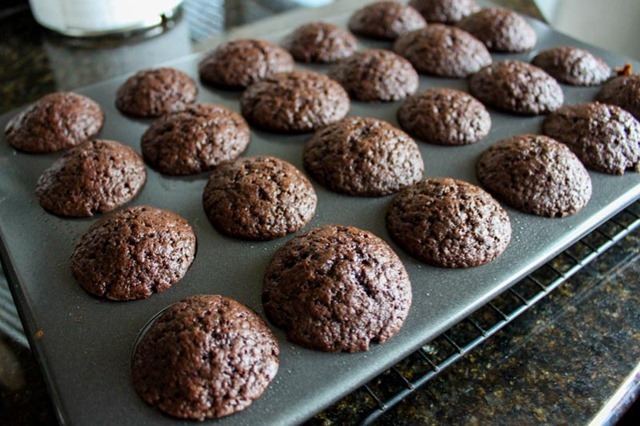 Making this recipe couldn’t be simpler; it uses the classic the muffin method. 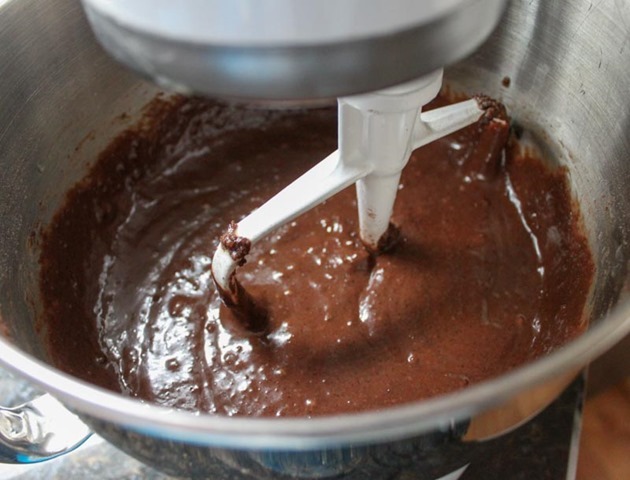 Combine all of the dry ingredients in a bowl/stand mixer, combine all of the wet ingredients in another bowl, and then slowly mix the wet into the dry until the batter comes together. 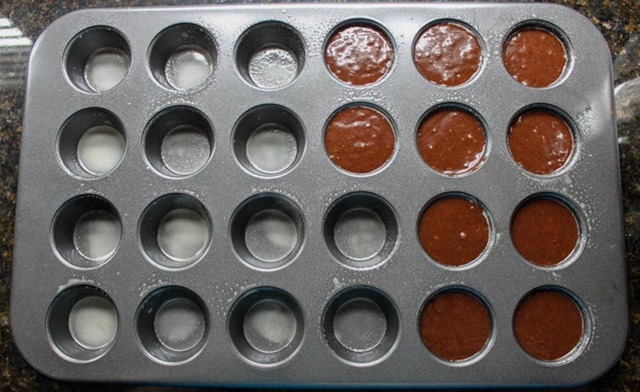 Pour the batter into a greased mini muffin tin and bake on 350 degrees for 13-15 minutes. 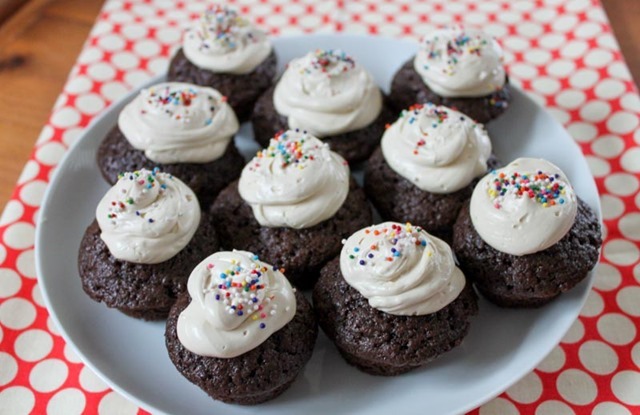 When the cupcakes are ready they will be moist and springy to the touch, not hard and dry. Cool on a wire rack before frosting. 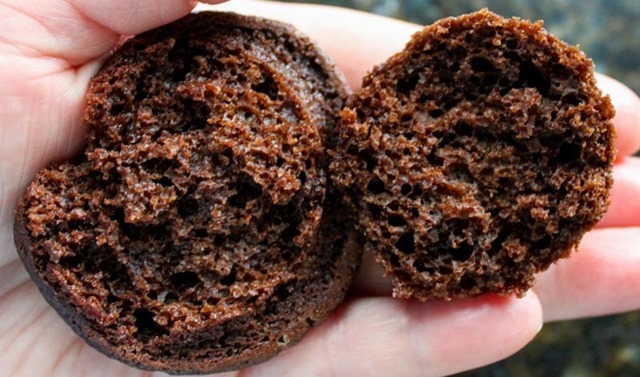 The interior of this cupcake is perfection – airy and moist with a spongy crumb rather than a dense one. Frost and decorate as you like. 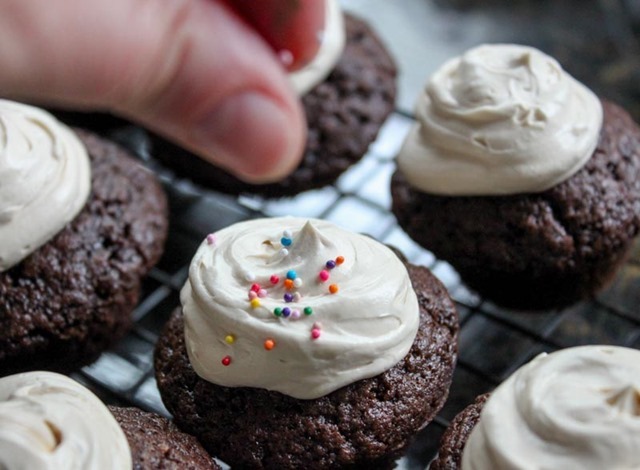 If you want some frosting ideas, check out this recent post I wrote on three different frosting options. Cupcake perfection! 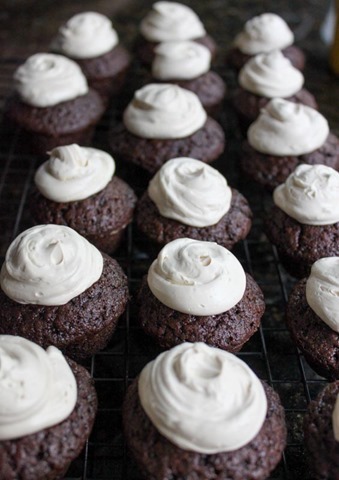 Rich and chocolately, with a little boost from the espresso powder. Moist and light. Sweet and luscious. 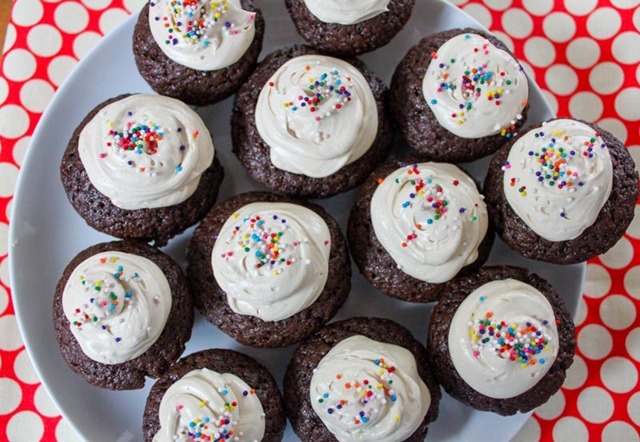 This recipe totally works for both cupcakes and cake – for obvious reasons. If you’re going the cake route, I recommend an 8×8 baking dish and baking on 350 degrees for 35-45 minutes (mine took about 40). 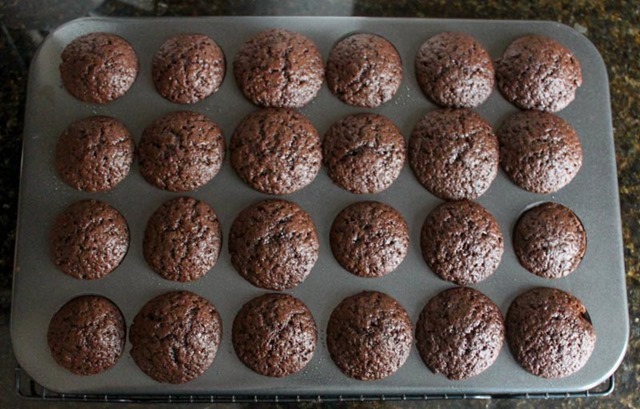 For regular sized cupcakes (rather than minis) bake on 350 degrees for 17-20 minutes. I’m also a cake fiend. 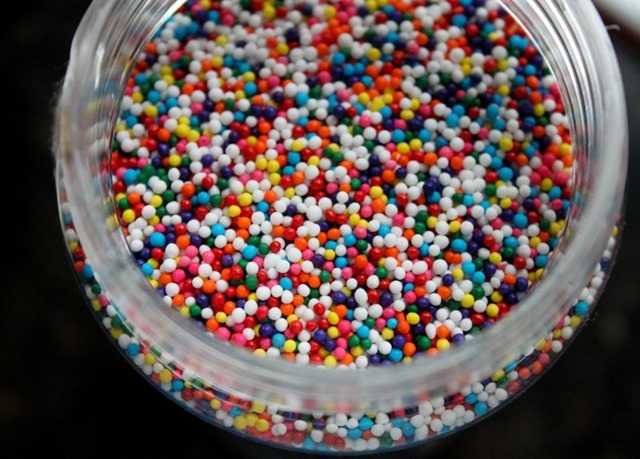 Far and away my favorite dessert. And woo hoo Lyndell’s! Thanks for sharing! 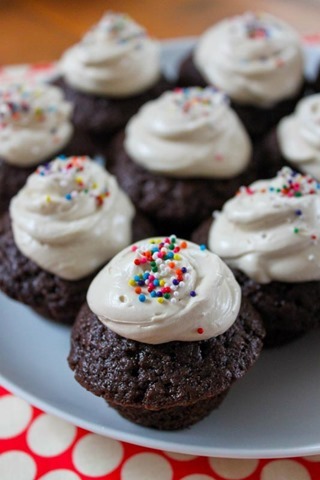 I’ve been searching for a new chocolate cupcake recipe!